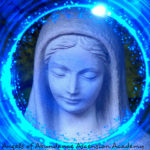 The Angels of Abundance Ascension Academy is a mystical journey of financial freedom and ascension. If you have been on the spiritual path for a while and you’re filled with information that you finally want to put into action, welcome home. In this Academy you will become stronger spiritually and financially as you step into your highest potential as a lightworker. You will be completely supported as you become your own oracle/channel of guidance for yourself and for the people you serve. This is a deep study into the Mysteries of the Higher Realms, which will help you step into your Light work as the healer you came here to be so that you prosper through your gifts. This is an intimate Global Family of Light that provides a fertile environment for you to step into your divine authority. Activate your Abundance with Mother Mary in our *FREE* 21 Day Flow! Let’s talk. I would love to help you along on your spiritual path. I am happy to offer you a complimentary 30 minute Discover Session to see if the Academy is right for you. To schedule, please go here. The Angels of Abundance Ascension Academy is a year long journey. You can also take any Master Course, one at a time. Click here to get an overview of the membership payment plans. This page will tell you everything you need to know about how to join us to receive the healing of your life. People have been healed of cancer, brain tumors, heart ache, childhood trauma and financial lack in this Healing Circle. Let’s talk. I would love to help you along on your spiritual path. I am happy to offer you a complimentary 30 minute Discover Session to see if the Academy is right for you. To schedule, please click here.